That’s according to Condé Nast Traveler’s annual reader survey. CORK HAS BEEN voted the third friendliest city in the world by Condé Nast Traveler’s annual reader survey. Three Irish cities made it into the top 10 friendliest cities list, with Cork in third place, Galway at number five, and Dublin coming in eighth place. Every year, Condé Nast Traveler asks its readers to decide on their favourite cities around the world, in its Readers’ Choice Awards Survey. 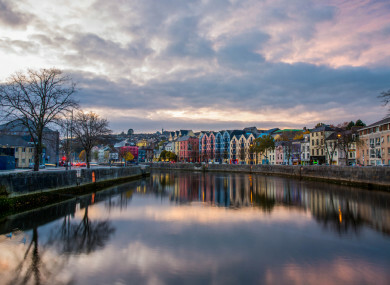 Condé Nast has advised visitors to Cork to “set aside some time to browse the local art galleries and load up on goodies at the English Market”. Looking at Galway, the travel magazine advised visitors to “make time to snap some photos of the Spanish Arch and the Claddagh; nights are reserved for sipping Guinness with the friendly crowds”. And with regards to the capital, editors suggested that visitors to Dublin should “slow down to a stroll through St Stephen’s Green, or linger over a meal at one of the city’s buzzy new restaurants”. Welcoming the news, Niall Gibbons, CEO of Tourism Ireland, said: “I am delighted to see three of our cities appear in the prestigious Condé Nast Traveler survey of friendly cities around the globe. It is another well-deserved accolade for Cork, Galway and Dublin. It is the warm welcome and the ‘craic’ here that resonates with our overseas visitors and makes our cities, and the island of Ireland, such a great choice for a short break or holiday. Email “Cork, Dublin and Galway voted friendliest cities in the world”. Feedback on “Cork, Dublin and Galway voted friendliest cities in the world”.